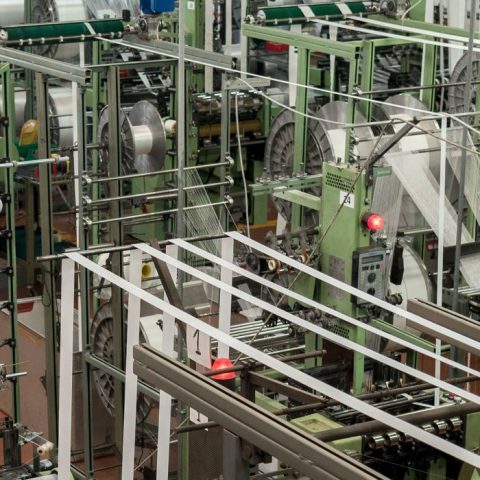 The weaving department makes use of more than 100 looms used to produce selvedge ribbons, rigid and elastic, dyed and unbleached. 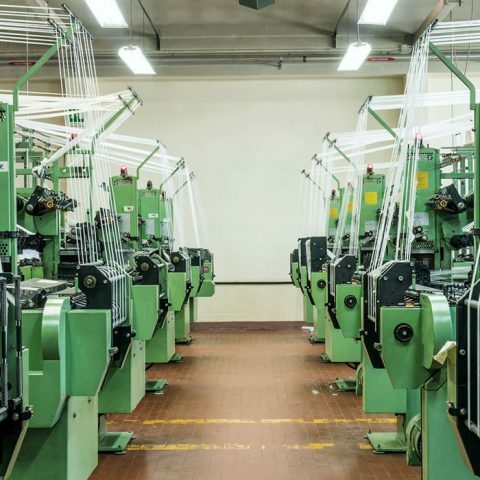 Experienced weavers and specialized technicians work daily to meet the needs of customers, finding the most suitable solutions to meet even for the most complex production needs. 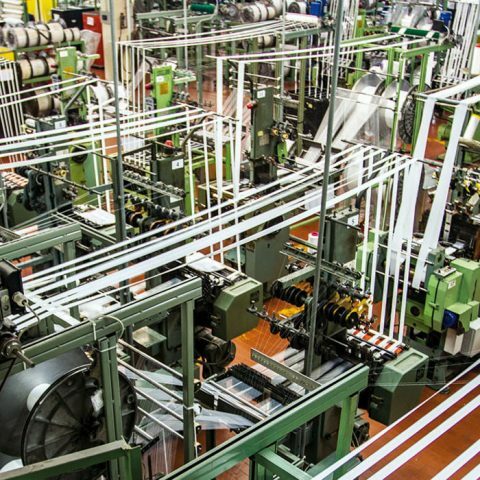 The strength of our sector lies in the dyeing department, which can realize dyeing both on skein machines and on continuous machines. 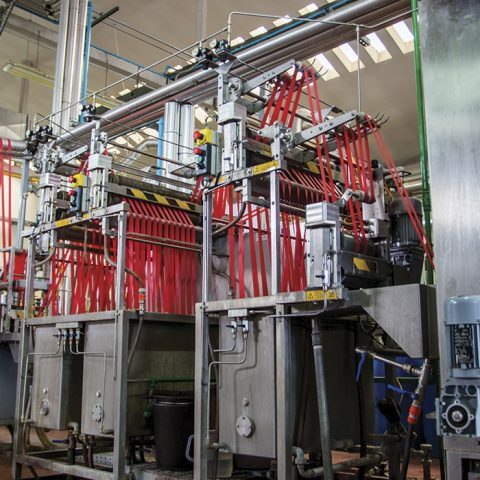 Our systems allow us to dye even minimal quantities not only in the colours shown in the catalogue but also in specific colours requested by customers. 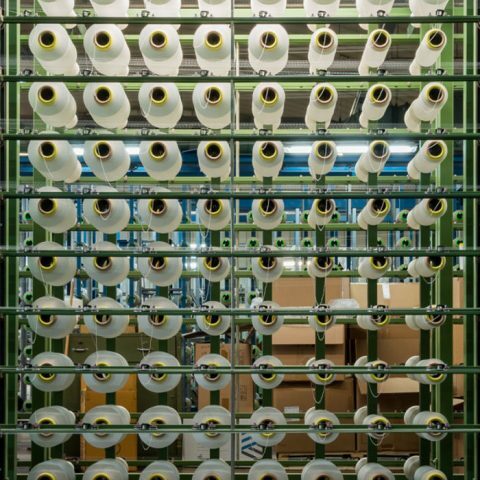 In addition to weaving, the company has a department dedicated to the processing of bias ribbons, that expands the existing range to the production of profiles, ruches, gallons and pleats. Great attention is paid to the creation of prints, hot impressions, aesthetic and technical finishes and in particular to the compacting that allows to give stability even to the less treatable, stiff and elastic fabrics.